The Morgan brothers are struggling to keep their organic blood and bone fertilizer business afloat. Their secret recipe (using dead car crash victims in their product) was once a boon, but now months have passed since their last find. 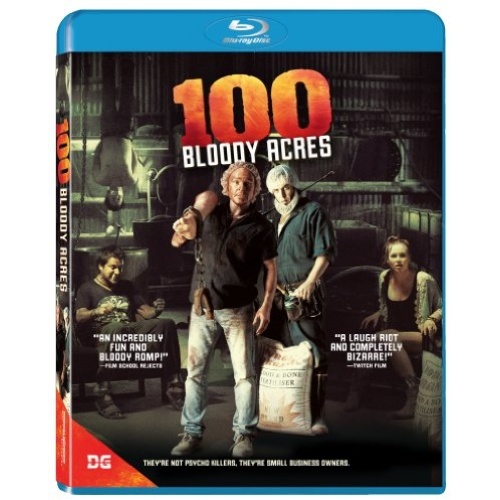 When younger brother Reg (Damon Herriman, Justified) stumbles upon three stranded travelers, he cooks up a radical solution to their supply problems, in hopes of finally gaining the respect of his bossy big brother Lindsay (Angus Sampson, Insidious). 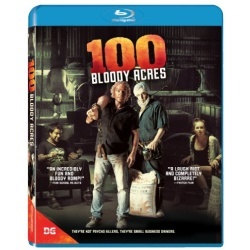 A witty, gory blend of Australian humor and horror tropes, the Cairnes Brothers' 100 Bloody Acres is a bloody good time.